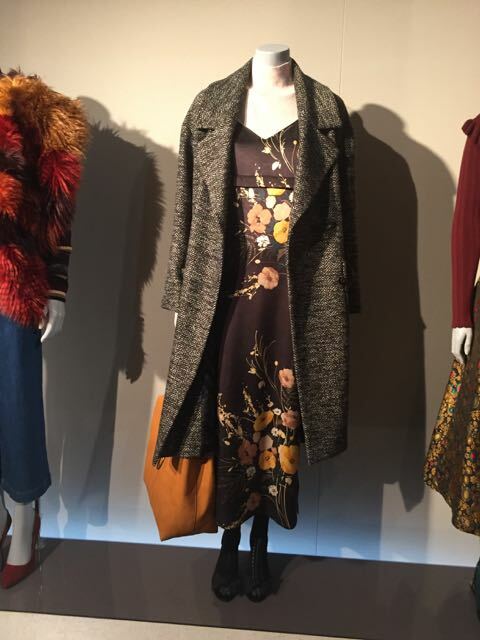 I’m in love with the M&S design studio who have truly, tremendously styled their A/W 2016/17 collection. The clothes are fabulously presented, lip smackingly approachable and owe much of their purchase appeal to the bang-on-trend way in which they’re presented. Consider the above suggestion of wool coat, floral boho midi dress and peep toe high heeled shoes that normally wouldn’t be seen anywhere without a cocktail. A mix of opposing fabrics, time slots and tones.Thanks are due to ‘outside the box’ thinking by the M&S style Sherpas. All of us here at The Model Edit (presently me and Blog Dog Hippolyta Beryl ) love this anachronistic style shove. 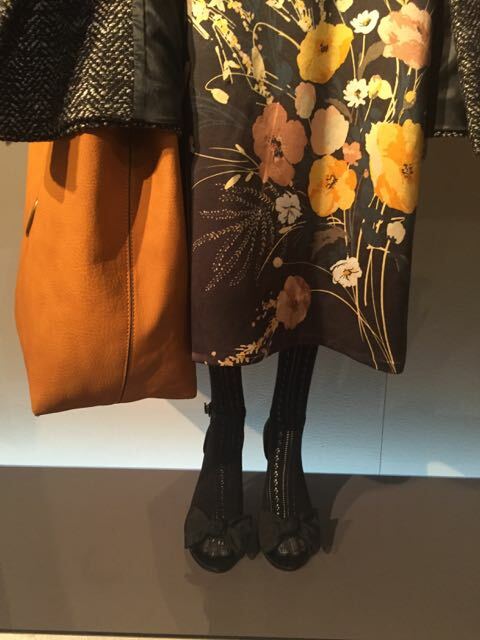 Not just that, but how about the brown tones featured on the seriously usefully sized brown leather bag mingled with the colour black appearing elsewhere on the outfit ? Dating back to biblical times, is black with navy or black with brown a fashion faux pas? It is allowed, always has been and is now positively encouraged. Go there.